just checkin in to say hello .. I've been finding my way on here lately, just to comb through and respond to some unanswered posts if I see them. I really miss this forum from back in the day. Great people. I peek in here all the time, but don't post much. Seems not much goes on in my area w/ this club, and the events at VIR are getting further and further apart. we had allot of fun didn't we? Life seemed a bit simpler then..
We sure did. This place was the best in it's day. I still see some old members on here on the other forums, and it's neat to see how things have changed/progressed with them. How have things been Bonny? Any cobras still around? I've still got my 03 cobra, and I picked up a 93 GT a few years ago to play with. I haven't done any racing in over 5 years, and still have another 3 before I'll have another opportunity to do so. No Josh.. no Cobra's anymore. We sold both of them. Maybe we will have another one someday, or I will be able to buy Trigger back. Right now, were just happy making our house payment at the end of the month..
Our son still has his Mach 1 but.. to him its just a car. (yikes).. Yes.. I have been on the Facebook SCMC page but I run two groups myself so just haven't had much time.. I have a four legged horse now (1 horsepower that is).. so between my jobs, home, family, horses, birds etc..
also... hoping and hoping we become grandparents some day! That would be awesome! But we shall see..
thanks for asking! Hopefully, this site will always be here and we can all go to it in times of need. The cars do not run my life anymore, but I do still enjoy them. We have a two year old now that occupies the majority of my time, and of course, the military seems to take up the rest of it. I live in Switzerland now, and the mustangs had to stay home. congrats on the two year old..
nothing better than family for sure!! so then.. if you ever wanted, I could definitely babysit the mustangs for you.. he he!! 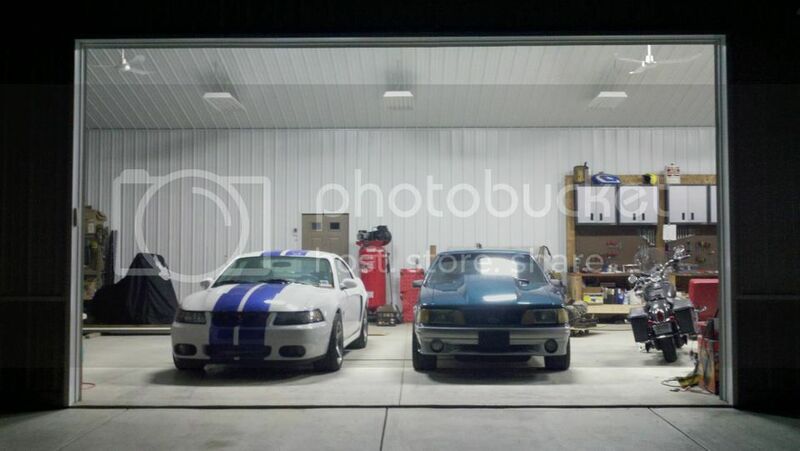 My image embed skills have deteriorated over the years, but the mustangs are in good hands. I sure do love my family. The little boy is already a car nut. His favorite thing to watch is cobra burnouts out youtube.